Retirement is looming! What am I going to do? You work hard for many years to earn your retirement, now make it last. If you have an income each month from pension or financial investments, make sure you developed a plan that stick to a realistic budget. 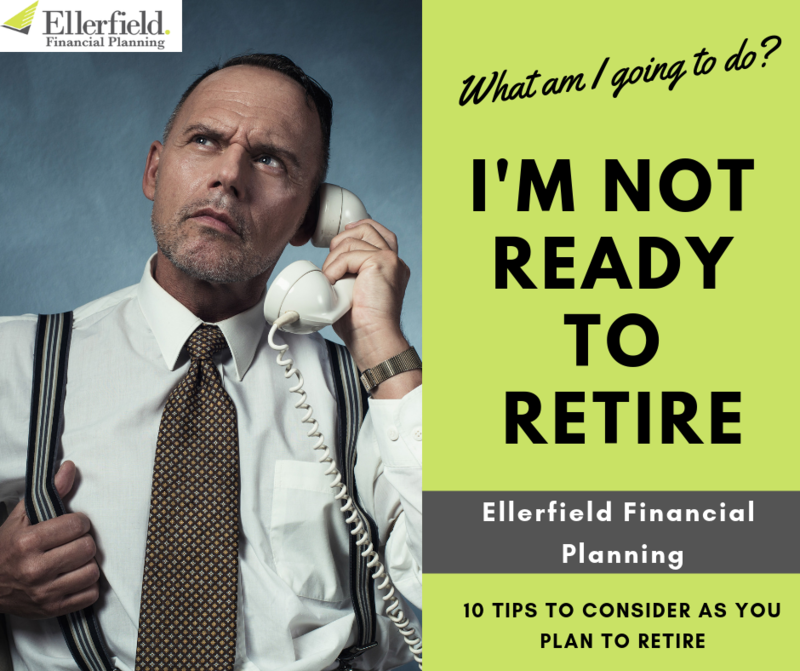 Ellerfield Financial Planning experts recommend you establish an appropriate withdrawal rate to support your lifestyle along the years. Don’t hesitate to contact a financial advisor, it may worth the professional support to boost your superannuation and live a stress-free life. You don’t have limits of vacation time, traffic jams or endless meeting to attend. Give yourself a chance to see the world or take a long cruise trip. Australia is an amazing country, explore it! Try a road trip along the beautiful beaches or through the outback. Check out the natural beauty and wildlife that’s so close to you, but you probably haven’t had the time to do it, now you have the time! Use your free time in retirement to give back, it can surprise you. Get in contact with local community, meet new people and keep your social life active. There are many volunteer opportunities that suit your skills. Not having to wake up early every day to go to work doesn’t mean that you can’t have a routine. Catch up with friends on the beach or at a coffee shop that you like, get back to your favorite sport activity and bring your friends together. Share your time with people that you love, finally you have time available. Do you still want to be part of some kind of workforce? Go after a part-time job that you can have fun and with a company that you like. Apart of the little extra income, it will give you a place to socialize each day. Now that you are retired, why not turn a dream into reality? Start that business you’ve always dreamed about. You might use your experience and skills to start your own enterprise. It’s never too late to learn something new. You could take classes just to have some fun learning a subject of interest. Finish your diploma or graduate degree, many colleges offer special prices to retirees above certain ages. You lived a life full of experiences that could be shared with the rest of us. Hands-on, you now have time available to put on the paper all that knowledge. Why not? Forget about the stress of your everyday work life, now you can take care of your mental and physical health. Join a yoga class, go for walk on the beach or meditate watching the sunset. There so many options, choose what you love to do and set aside daily exercise time. As leaders in Wealth Accumulation and Retirement Planning, we believe that a stable retirement needs an environment of certainty and control. Ellerfield creates a structure offering maximum control while providing a detailed understanding of the ‘why’. If you are within 10 years of retirement, you have the opportunity to create your own F.O.C.U.S.2 ®.